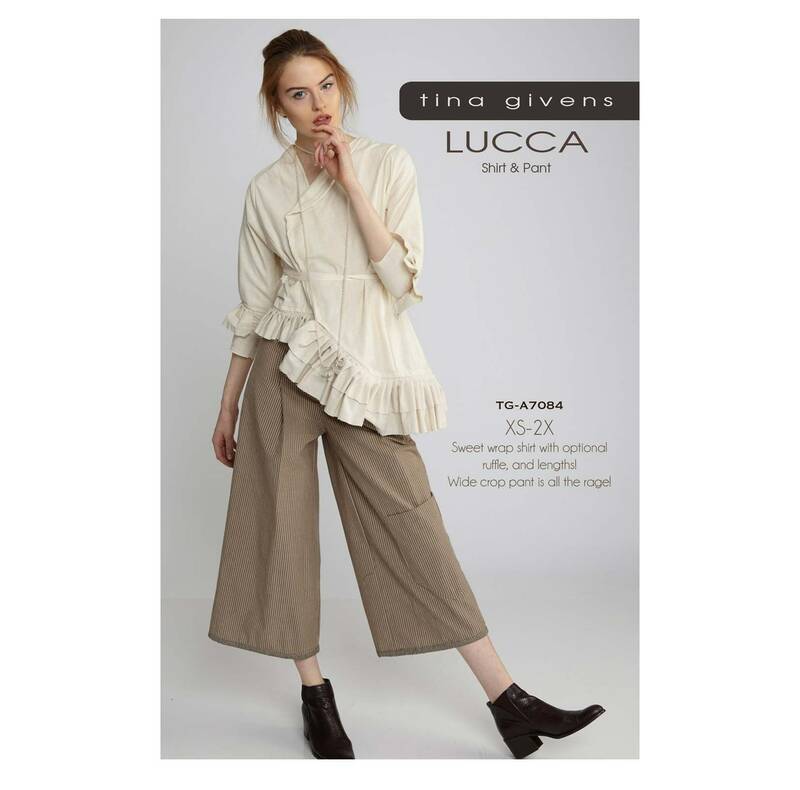 Lucca asymmetrical jacket/shirt with raw ruffle edges, bound neckline and waist tie. Optional button closure. Slightly fitted crop pants with wide leg and fly front.